I have recently relocated to Connecticut from the Chicgao, Illinois area. I will be setting up classes and workshops for 2018. Introduced to Bruce’s teachings in the early 1990’s by Robert Tangora, I was able to begin studying with Bruce in 1998 (Thanks, Brookline Tai Chi!). I had begun my tai chi studies in 1986 in the Yang style of Cheng Man-ch’ing, primarily though the teaching of his disciples Benjamin Pang Jeng Lo and William C.C. Chen (who had certified me to teach his “60 Movements” in 1996 – I still particularly enjoy practicing Wiliam’s sword form!). Along the way, I also learned the long form of Yang Cheng Fu from his grandson Yang Zhen Duo. After assisting my first tai chi teacher, I began teaching tai chi and qigong in 1992, and was included in a 2003 issue of the Ithaca College Quarterly, The Healers: Easy Does It. 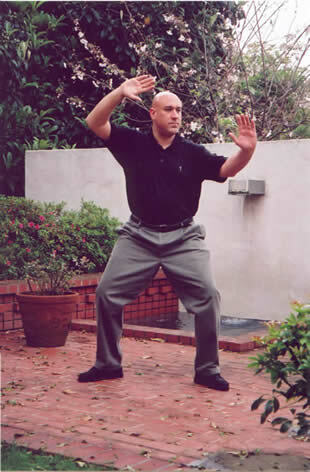 I am also a Professional Member and Level III Advanced Instructor of the National Qigong Association (NQA). While living in California and Arizona, I also completed studies in Asian Bodywork Therapy, and became a Certified Practitioner of the American Organization for Bodywork Therapies of Asia (AOBTA).